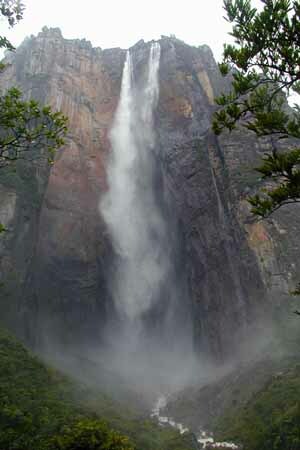 Angel Falls in Venezuela is the worlds highest waterfall, The water of Falls drops 3,212 feet (979 meters). 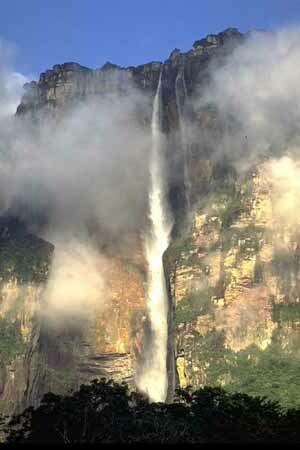 The “Salto Angel” (Angel Falls) is three times the size of the Eiffel Tower. The waterfall was not known to the Western world until it was visited in 1935 by the American aviator, James Crawford Angel, on a flight whilst searching for a valuable ore bed. In 1936, he returned and landed his plane at the top of the waterfall. The falls are currently named “Angel Falls” after him. The waterfall drops from the plateau of Auyan-Tepui (means “Devil’s Mountain”), which is located in the highland area known as La Gran Sabana. 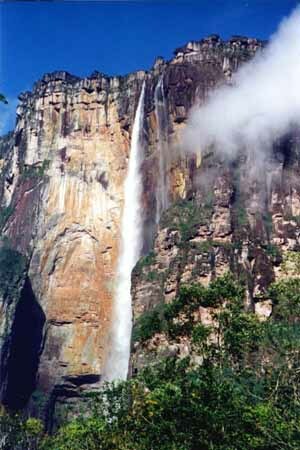 The region in which the water fall is located is covered with mesas, tropical rain forests, and grasslands. 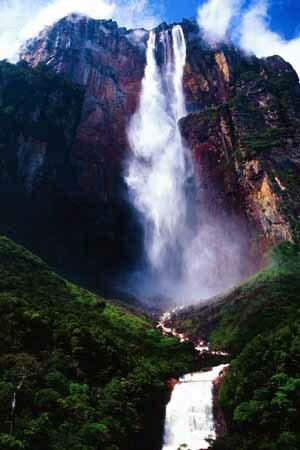 Angel Falls is one of Venezuela’s top tourist attractions, though a trip to the falls is a complicated affair. The falls are located in an isolated jungle. 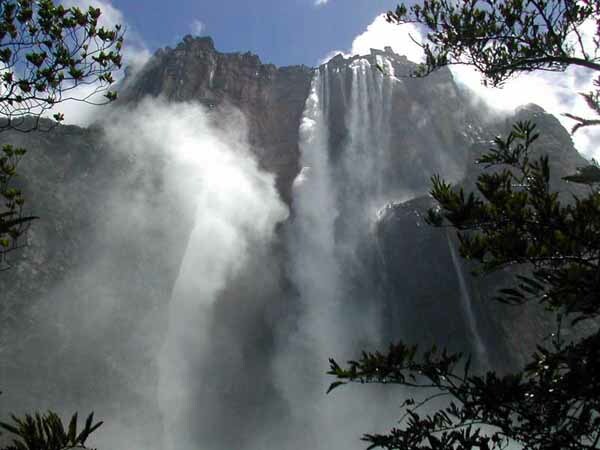 A flight from Puerto Ordaz or Ciudad Bolivar is required to reach Canaima camp, the starting point for river trips to the base of the falls. River trips generally take place from June to December, when the rivers are deep enough for the wooden curiaras used by the Pemon guides. During the dry season (December to March) there is less water seen than in the other months. 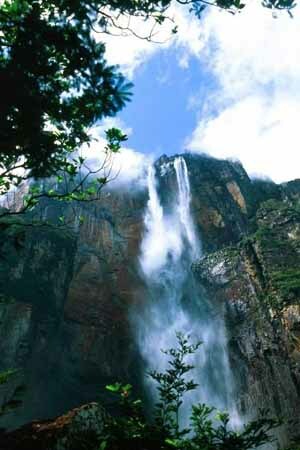 Angel Falls also inspired the setting of the Disney animated film Up (2009) although, in the film, the location was called Paradise Falls instead of Angel Falls. It also makes a small appearance in the Disney film Dinosaur, as well as the 1990 film Arachnophobia.